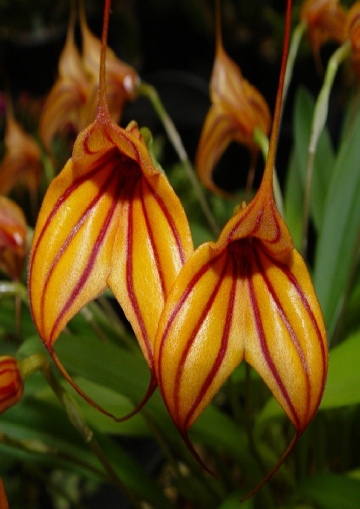 The British Orchid Council brings together amateurs, commercial growers and the scientific community in a single forum. Membership currently comprises the fifty or so British Orchid Societies, the British Orchid Growers' Association, National Botanic Gardens maintaining significant orchid collections at Kew, Glasgow, Chester Zoo, The Eric Young Orchid Foundation in Jersey and The Royal Horticultural Society, with its major collection at Wisley. The Council is a registered charity, the main objectives of which may be summarised as promoting and broadening the knowledge of orchids and encouraging excellence in their culture. It organises British Orchid Congresses in different parts of the country every eighteen months, maintains a training programme for internationally recognised show judges, represents its members on both European and International bodies and has a strong commitment to conservation. The British Orchid Council is a registered charity, No.1002945. 2nd in the BOC Photo Competion, 2010.